Okay, I think that’s a real word derived from authentic Latin roots (propono = publish; phobia = fear). If proponophobia wasn’t a real word before, it certainly needs to be added to the English dictionary now because it is definitely a real fear for many, including myself from time to time. If you’re one of those people who has completed a manuscript but you have not taken the next steps to get it published (namely editing and/or submitting to a publisher), you may be suffering from proponophobia. In an effort to help you battle this chronic problem, I’d like to dispel a few myths that perpetuate proponophobia. 1. It needs to be perfect first. The reality is: Your book may not ever be perfect in your eyes. There is always a line that could have been better, and you will most definitely see the weaknesses in your previous works as you become a more experienced writer. Writing is art. Art mimics life, and life is far from perfect. 2. What if people don’t like it? There will be people who don’t like your books for reasons beyond your control. Expecting everyone to like your work is like expecting everyone to prefer the same flavor sno-cone or enjoy listening to the same singer. My point is that some people will like your work, some people won’t. Be okay with that. Don’t let the possibility that people may even hate your book rob you of the opportunity to reach those who may love what you’ve written. 3. What if my book is really terrible, I just haven’t realized it and everyone who says it’s great (including my editor) is either lying or doesn’t really know what good writing is? This is possible, though not likely if you’ve used a reputable editor. A good editor will say to you, “This isn’t ready for publication, and here’s why.” Then again, good editors rejected some of today’s bestselling novels. Ultimately, the readers will decide if your book is satisfying enough to recommend it to their friends and family. Until you publish your book, the readers cannot make this decision. I know. It sounds intimidating. 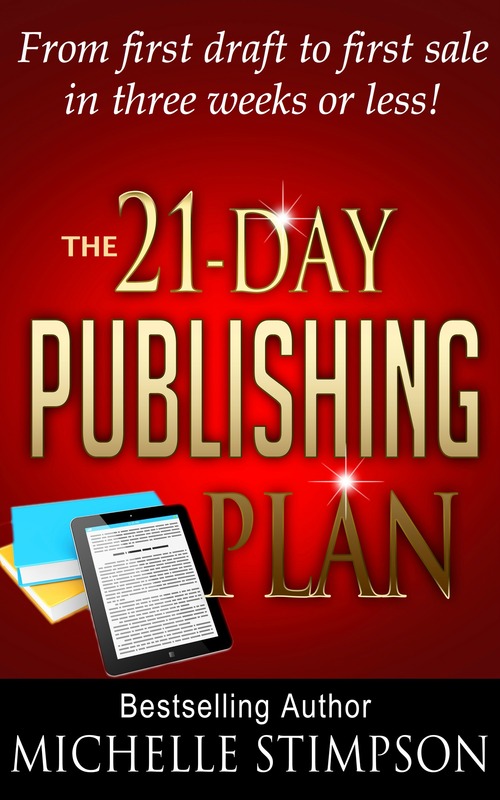 Welcome to the world of published authors…unless you’re putting off shoving your work out there. Four Churchy Sayings that are Blocking Your Blessing! If we disagree about the bulk of this article, let’s agree on one thing: Jesus, the Son of the only wise and living God, is Lord. Can I get an amen? All right. Now that we’re on the same page, I’d like to start off this year by giving my fellow believers some serious food for prayer. A friend of mine and I were talking about the songs and clichés we’ve heard all of our lives in church. At first, they seemed funny and harmless, but the more we discussed the topic, the more revelation God began to shed in our hearts about the tiny words that make all the difference in what believers experience. I don’t want to major on the minors with this blog post. I am simply asking the Holy Spirit to illuminate for each individual reader what He wants everyone to know. (He’s really good at that, by the way!) The Bible says that our words are powerful (Proverbs 18:21). The Holy Spirit can teach us to be careful with them. That said, here are four sayings (even “singings”) that were probably coined with great intentions, yet warrant investigation. 1. “When the praises go up, blessings come down.” Like anyone who loves to praise God, I count it beautiful to hear the people of God praise His name. I can only imagine the glorious roar we will shout at the return of our King! Here’s the deal: God is infinitely brilliant. He cannot be manipulated. He knows when we are praising Him because He is worthy versus when we are simply moving our lips because we want something back. Jesus said that worship coming from the wrong motivation is “in vain” (Matthew 15:9). We’re not doing people (or God) any favors by urging them to shout over the blessing instead of the One who blesses. It is not our job to police other people’s motives. God knows the heart (Luke 16:15). Let’s praise Him for who He is, not to try to trick Him into blessing us—as if that were even possible! 2. “Your breakthrough is around the corner/on the way/in the oven”. I understand that there are promises and manifestations which have not yet been perceived in the physical realm by our natural eyes. But there’s something extremely dangerous about convincing people that we’re waiting on God to do something. If we’re still waiting on the breakthrough, who was Jesus? In actuality, we received our breakthrough 2014 years ago when Christ died, rose again, and made a spectacle of the enemy! Teaching people that we are still waiting on God to do something else before we are victorious has put countless Christians in carrot-on-a-stick mode, always waiting for God to do something really big. Meanwhile, we’re in this “wilderness season” or “birthing” stance. While we wait, we get into this self-righteous frenzy, wondering what else we need to do to get ourselves ready, make ourselves good enough, or put ourselves “in position” for God to do this miraculous thing. We’re buying all these tapes and CDs – 10 Steps to Getting Rid of Sin, 7 Ways to Wash Your Robe. Again I ask: If this great miracle will come at the end of me straightening myself out and pulling myself together, what was the purpose of Jesus? Jesus told us to believe that we “have received” what we ask for (Mark 11:24). We don’t need to pitch a perpetual tent in God’s great waiting room. By His love, the big miracle has already taken place! Rejoice in Christ and receive His finished work! 3. “God won’t put more on you than you can bear.” This phrase has been spoken at funerals and hospitals by many a well-meaning believer who wanted to encourage and strengthen a brothers or sister in Christ. However, a closer look at the scriptures actually reveals quite the opposite. First of all, 1 Corinthians 10:13 says that God will not allow us to be tempted beyond what we can bear—not hurt or sorrowful beyond what we can handle. Big difference. Secondly, a Spirit-filled believers can know that his/her tribulation is beyond what they can bear. Paul wrote in 2 Corinthians 1:8 that he and other disciples were pressed above their own strength so much that they hated life! But in the next verses, Paul explains that God, who raised Christ from the dead, delivered them. The beauty of a life lived in Christ is that we, too, can know what it means to lean completely on Him as our strength. Now, instead of telling people that they are strong enough to make it through, we can agree with them that they aren’t—and we can walk with them to the One who is! 4. “This-that-or-the-other is blocking your blessing!” My hunch is that you may have started reading this article to find out what you might be doing wrongly that’s causing God to withhold something from you. Or maybe you want to know how you can “get in position” in order to receive from Him. Here is the secret: Believe on Jesus Christ! There is nothing stronger than His blood! Sin is broken, He has saved you, and you are free to live in Him! If Ephesians 1:3 is true, then you have already received all the spiritual blessings through Christ. If Ephesians 1:3 is not true, then nothing else in His word is true, either. Period. Sounds rough, but the Word is not true-ish (Matthew 5:18). Either we are waiting for another Calvary or it is finished. Believers agree with Christ: It is finished (Luke 19:30). If there is anyone waiting on anything, it is Him waiting on us to truly believe and receive the life of Christ! You may be thinking: But Michelle, if a person isn’t living right, isn’t spiritually mature, hasn’t fully surrendered, doesn’t have a giving heart, etc., they are blocking their blessing! I submit to you that people don’t grow or surrender or do anything they don’t actually believe in first. Everything, including our very salvation, hinges on faith in the life, death, and resurrection of Christ Who lives in us now. After that, He is faithful to sanctify us and present us blameless before Himself (1 Thessalonians 5:23-24) – and notice Who actually performs the sanctifying in that verse! May God continue to reveal who you are in Him and who He is in you! If you’d like to examine more cliches that oppose the Word, download “Uncommon Sense: 30 Truths to Radically Renew Your Mind in Christ” – FREE on Kindle through January 6, 2014!!! There are a gazillion websites that help authors promote books. Why would bloggers and companies help you promote books? Because they are affiliates of the retailers. They get paid every time someone clicks through a link on their blog/email and goes to a website to buy a book. For example, Jose is a blogger. He hosts a website called ‘Jose’s Bargain Books’. Every day, he posts information about books that are on sale. Some readers visit his site daily, several thousand get emails from him about the books on sale. When those readers see a book they like, they click Jose’s link and find themselves at the Amazon sales page for the book. Jose will get a percentage (usually anywhere from 1%-4%) of whatever the reader spends at Amazon, whether they buy the recommended book or not. Jose gets a ‘finder’s fee’ just for sending the person to Amazon—even if they get to Amazon and decide to buy a toaster instead! This is called affiliate marketing, and it is how Amazon became Amazon. This is the place to really toot your own horn on Amazon. Let your potential readers know that you are a real person. Share your professional background as well as a little information about you (i.e. he loves to spend time with his Yorkies). And don’t underestimate the value of a good story in the bio, even if you are writing non-fiction. Your designer must use properly licensed art. I only use royalty-free art. Nothing like getting a huge bill from Getty Images for using unlicensed art! I know. It happened to me once when I paid someone to make a book trailer for me. Long story short, I learned that whoever posts the artwork on the Internet is liable if the art was not properly licensed with purchase. Since we’re talking about your book and you will be the one posting it on your website and such places, if the artwork is not properly licensed and you are ‘discovered’ by the roaming Internet robots, you will be left holding the legal bags. My suggestion is that you purchase your own art (the designer can send you the links and tell you what size to buy) or only use reputable designers who live in your country so that you can take legal action against the designer if the copyright holder ever comes looking for you. Let’s say your book sells for $13.00. At 7.25%, you will earn 94¢ per print book sold. Why so little? Well, the wholesale price of the book is about 50% of the selling price. So, they are giving $6.50 to the store. Of the remaining half, the distributor must receive a cut (for shipping the books and such). The publisher must recoup what it cost to prepare and print 11,000 copies of the book, plus the people who work at the publishing house (the editors, artists, sales people) have to get paid. Publishers aren’t thieves, they just have a lot of people to pay. With this model, you will need to spend a lot of time, energy, and money promoting to sell those eleven thousand books before you will ever see a penny over the $10,000 you received as an advance. These days, authors and agents are scrambling to get as much as possible up front because so few authors ever earn above their advance.